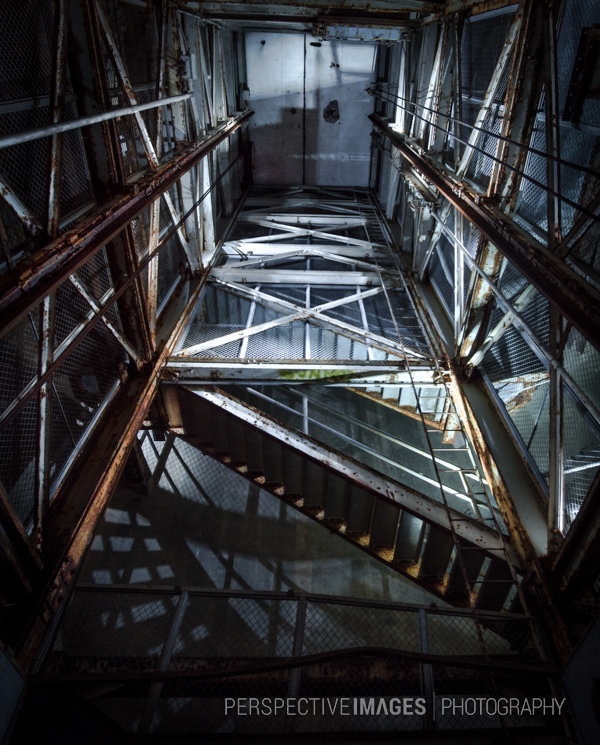 Looking up from the bottom of the elevator shaft at the main entrance of a Titan 1 missile base. The elevator and massive three and half feet thick concrete doors at the top have permanently been closed and shut down, they will never see the light of day again. Wahouu… Terrific shot my friend !